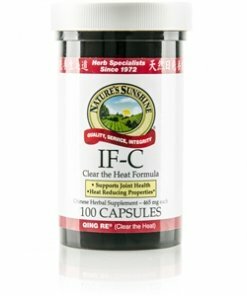 Nature’s Sunshine IF-C, Chinese, blends 18 herbs used in traditional Chinese medicine to nourish the joints, strengthen immunity, and relax a fire constitution. 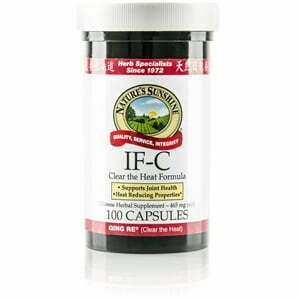 The Chinese name for the formula, qing re, means to “clear the heat.” IF-C supports the structural and immune systems by promoting blood flow and encouraging the elimination of toxins. The formula included schizonepeta, lonicera, and forsythia.